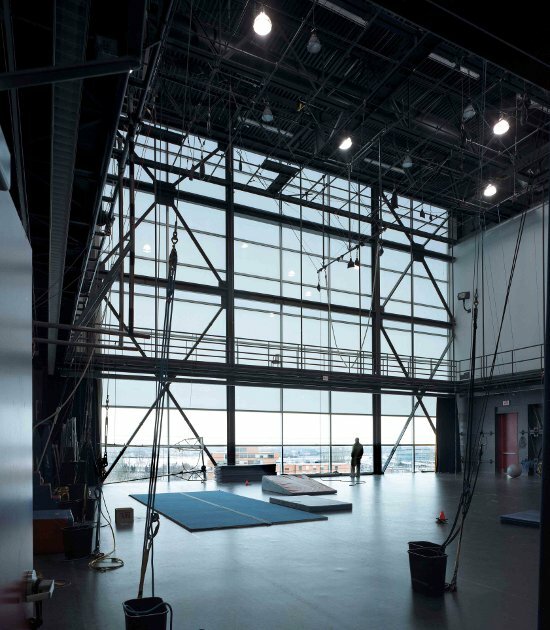 Rented and administrated by the organisation TOHU, the studio de création is a large, bright and incredibly well-equipped residency and training studio in Montreal's École nationale de cirque. Training there is open to circus professionals based in Canada (though you might be able to wrangle something as a visitor), but is by application. There's detailed specs of the facilities here, and an application form for those looking to use the space here.